If your child loves biking (or perhaps YOU love biking), then you want to make sure you are getting them a bike that they can grow their skills on. With all the bikes on the market, however, it can be confusing to know which bike to buy and how they stack up against each other. To help you out, we’ve tested dozens of 16 inch and 18 inch kids bikes to help find the very best ones. We’ve rounded up a list of bikes that are truly THE BEST–lightweight, well-designed, and built to withstand abuse. 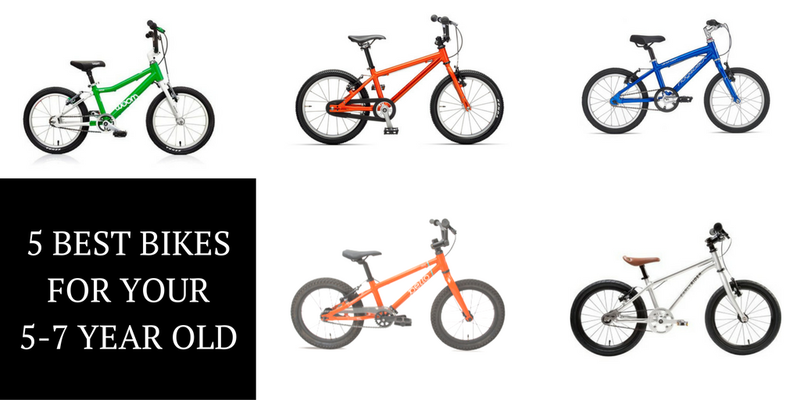 We’ve also offered some tips on how to choose the very best bike for your 5, 6, or 7 year old, and a comparison chart so you can see how they all stack up. 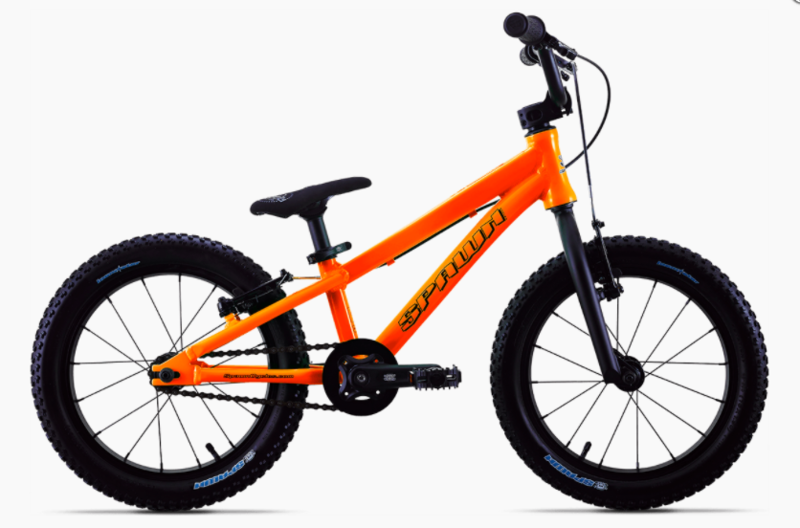 A note on sizing: In general, 16-inch bikes are most appropriate for 5 and 6-year-olds; 18-inch bikes will extend to 7-year-olds. 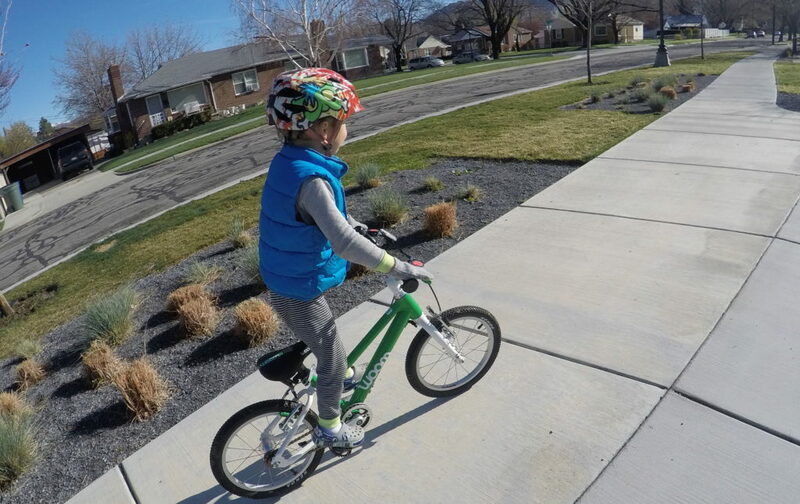 That said, if you have a tall 4-year-old, they may very well be ready for a 16″ bike already. Sames goes for a tall 6-year-old — they could be ready for a 20″ bike. (More on how to measure your child for a bike later on). 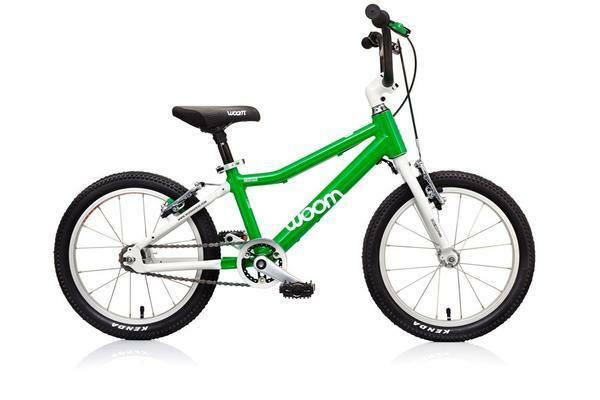 Woom Bikes are hands down my favorite bike brand for young kids. The Woom 3 boasts dual handbrakes with no coaster brake (more on that topic here), a super lightweight build, and fun extras like a bell and kickstand. It is the only bike on this list that is sub-12.5 pounds, which can make a huge difference in a child’s enjoyment and endurance. Read my full review of the Woom 3 for more info. The Cleary Hedgehog is a gorgeous 16 inch bike that is for parents who take looks AND quality seriously. 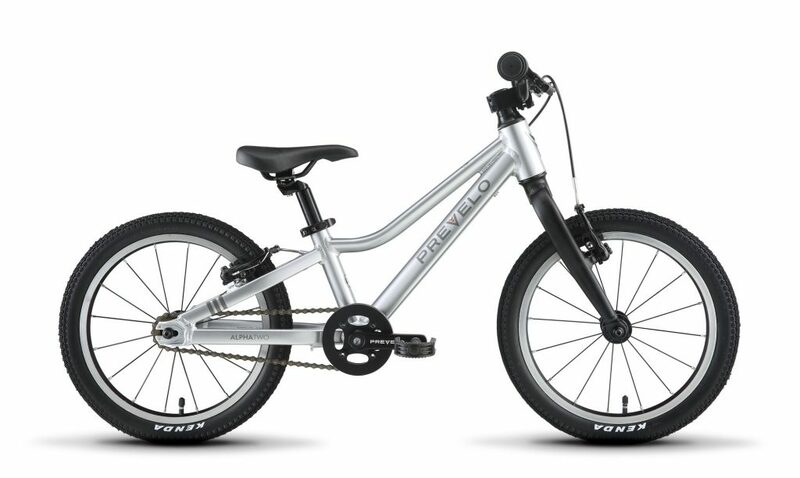 The classic steel frame is durable and will last thru several children. 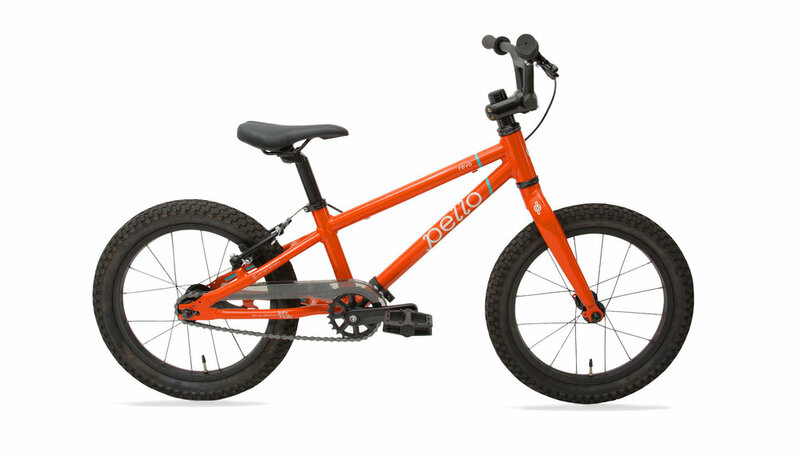 Cleary offers a freehub option, and the Hedgehog comes with easy-to-pull child-sized Tektro handbrakes. Read my full review of the Cleary Hedgehog for more information. 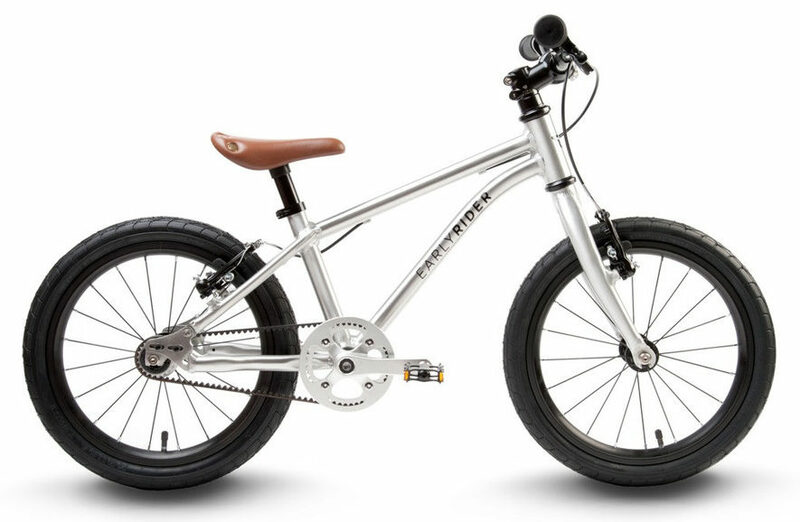 The Early Rider Belter is a grown-up bike for little riders. The Belter boasts a titanium frame, belt drivetrain (instead of a chain), and high-quality components. The only negative is that this head-turning little bike costs a pretty penny; in fact, it’s the most expensive bike on this list by quite a bit. The Prevelo Alpha Two is for bike snobs. This little package looks good, comes with top-notch components, and is super light. 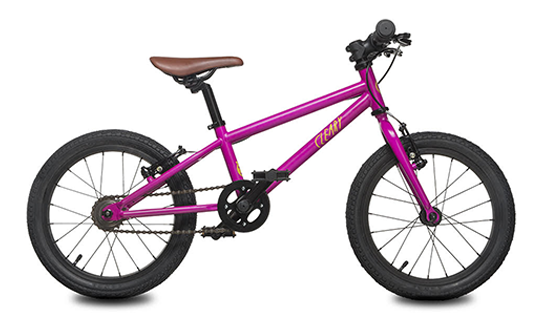 It has everything we look for in a kids bike–child-specific geometry, no coaster brake, and a lightweight build. Read my full review of the Prevelo Alpha Two. 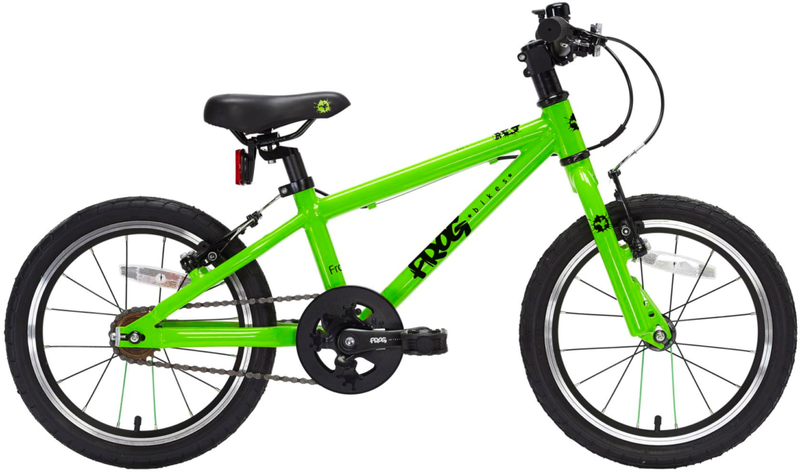 Frog is a UK bike company and their bikes just became (more easily) available in the U.S. My son is in love with the Frog 48, their 16″ bike, and it is currently his go-to choice. The bike comes standard with fenders (not pictured here) and two sets of tires–slick and knobby. Read my full review of the Frog 48 for more info. If your child likes riding off-road, consider the Pello Revo. The Revo has a mountain bike feel with beefy tires and a rock-solid build. The “ride right geometry” makes both learning to ride and mastering technical skills easy. This is essentially the same bike as the Pello Romper, just a bit bigger. If you’re the kind of family who likes hitting up the bike park on the weekends, the Spawn Yoji is the right bike for your child. The Banshee is a real mountain bike with a lightweight build, dual handbrakes, and quality components. 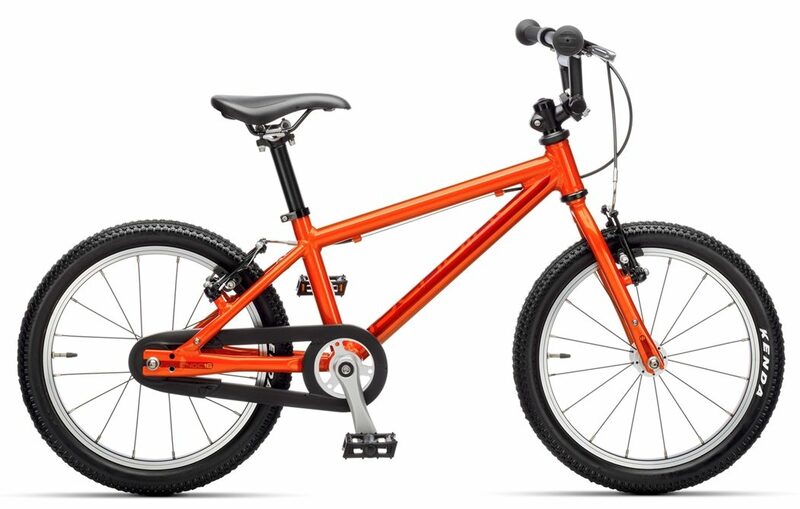 A “best of” kids bikes would not be complete without an Islabike on the list. Islabikes is well-known for their superb customer service and quality product. The Cnoc 16 is perfect for families who take biking seriously and want a bike for their child that will be able to make it long distances. We also love the lightweight, removable chainguard on this bike. Note: As of fall 2018, Islabikes is no longer selling bikes in the U.S. market. You might be lucky enough to live elsewhere or to find one used. No longer for sale in the U.S. market. Look for one used. The ByK E-350 is unique in that it is sized like a 16 inch bike but actually has 18 inch wheels. This can be a plus as larger wheels make it easier to roll over obstacles and to go fast. 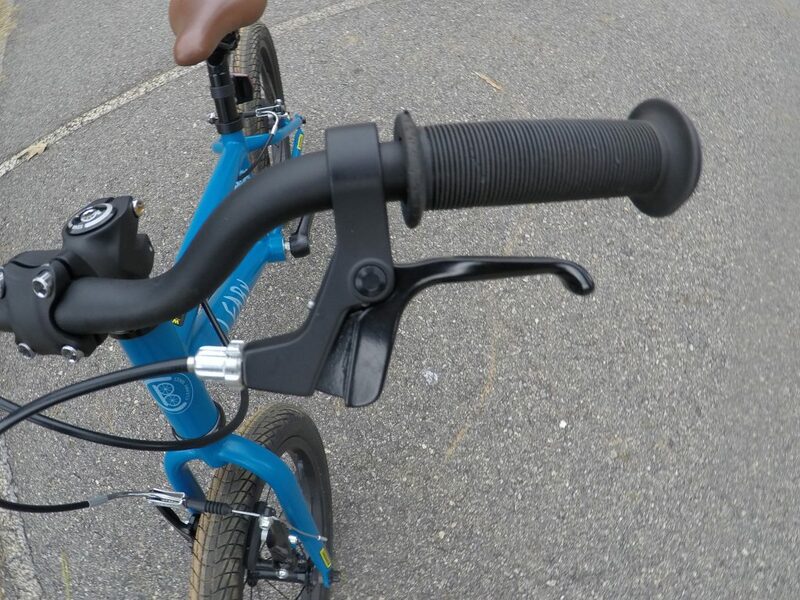 The E-350 has dual handbrakes AND a coaster brake. 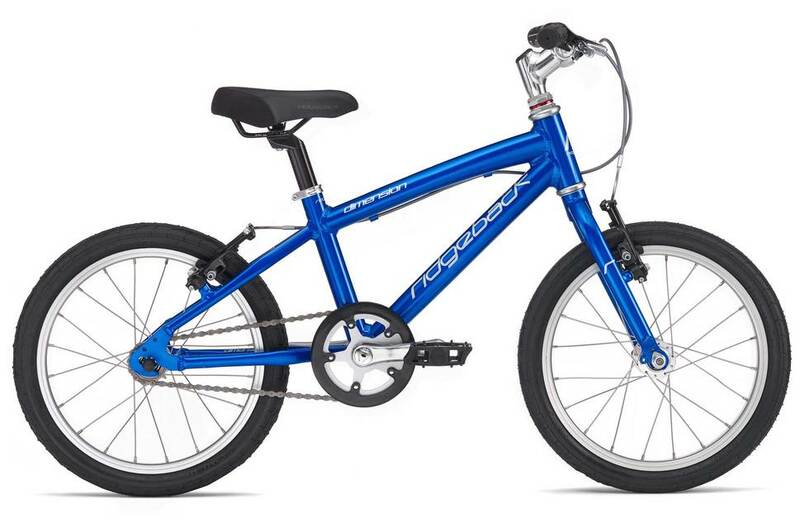 For “road cyclists in training,” the Ridgeback Dimensions is a perfect choice. It is fast, aggressive (but not overly so) geometry, and comes in bright, fun colors. So I gave you a list of all the good bikes on the market, but how do you know which one is best for your child? Consider these factors, and then use the comparison chart below to help you choose. Each child is different. For instance, my son and his cousin who are only a few months apart are nearly six inches apart in height. Therefore, it is really very important to measure your child before buying a bike. What may fit one child at 4 may not fit another until 5. 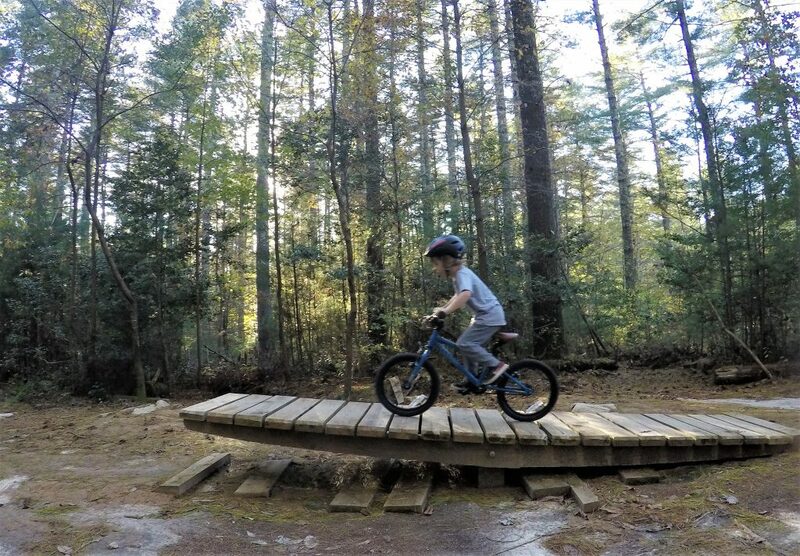 Some of the bikes on this list may even be too small for your large 6-year-old. For details on how to measure your child, read this article. For maximum comfort and stability, I recommend that their inseam be at least as long as the minimum seat height. While technically their inseam can be slightly shorter than the minimum seat height (it will fit on their tippy-toes), kids this young who are just learning to ride do best if they can put their feet flat on the ground. After ensuring a bike is the right size, the next most important thing to consider is the weight. When comparing two bikes, I will always pick the lightest one. It makes a huge difference in a child’s enjoyment level and in how long they can ride. Look for a bike that is no more than 30% of your child’s body weight (tough isn’t it)? Of all the bikes on my list, the Woom 3 is the lightest, followed closely by the Early Rider Belter. Unfortunately, just like most things in life, the more you spend on a bike the better quality it is going to be. The good news is that when you buy a high-quality bike, like any of those on our Top 5 list, it will last thru several children. This makes it a good investment if you have younger kids it can be passed on to or to sell on Craiglist. I’m a huge proponent of teaching children to use hand brakes and bypassing coaster brakes. I’m at a point now where I won’t even put my son on a bike with a coaster brake, or teach another child to ride using one. To decide whether a freewheel or coaster brake set-up is best for you, and more about both options, read this detailed article I’ve written. Training wheels? Just don’t do it! If your child hasn’t mastered a balance bike yet, start there and then transition to a pedal bike later. 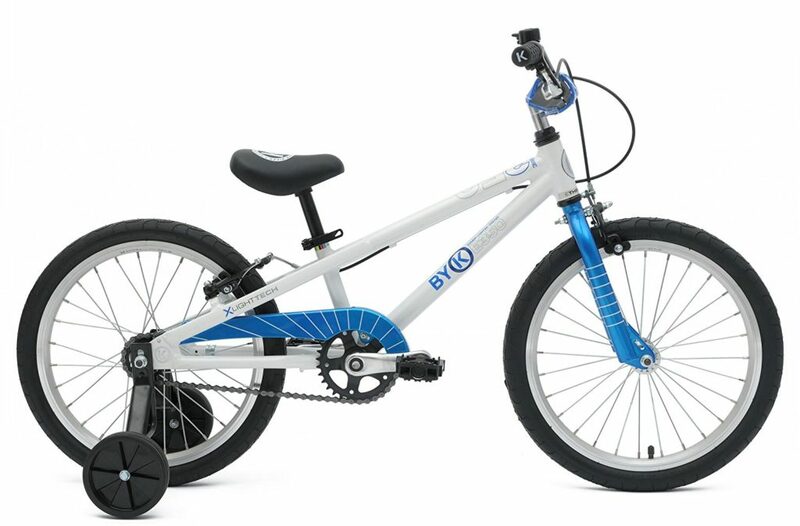 If you MUST have training wheels, the Byk E-350 is the only bike on this list that offers them. * All the bikes on this list have 16 inch wheels, with the exception of the ByK E-350 which has 18 inch wheels. Need even more help in choosing a bike for your child? Get our downloadable Bike Buying Guide with a printable cheat sheet to take with you shopping. Thank you so much Kristen! All your info helping greatly as I start my search. Any feedback on Norco 16” Freewheel (Mirage). It is handbrake/ freewheel which was a Priority for me. The weight is 17.9. And at the tops of what I could afford at $259. Hoping to buy local instead of online and I know that limits my choices. Hoped I could find a quality used bike but unfortunately just couldn’t. Thanks for any input on this bike if you have! For your price range, and wanting to buy local, the Norco is a great choice. I haven’t personally tested it, but have had the opportunity to see plenty of kids riding it, and have received good feedback from other parents on it. I’d say go for it (and then let us know what you think too)! I am looking for my 4 year old to get him a pedal bike this fall/winter. He’s a speed demon on his Strider and I just found a used Strider Super (16” pneumatic tires, rear caliper brake) to get him used to the higher weight and handbrake concept. His seat is currently set at 17-17.5 inches. He loves riding on graveled trails and the awesome large skate park near our house. We haven’t done much singletrack with him since last summer because he complained about how bumpy it was on his normal Strider (foam tires), but I expect that we’ll be back on it shortly now that he has pneumatic tires, since that is my favorite riding. The most important quality for this upcoming bike is durability, as I have a 20 month old son who just started gliding on his Strider (must… keep….. up!!!!) and another son due at the end of the month that I want this bike to last through (so nearly 6 years of foreseeable use). I live in the very wet and rainy Pacific Northwest. I don’t want coaster brakes and definitely want front and rear handbrakes; 16 pounds is pretty much my cutoff as my son is still under 40 pounds. I had pre-ordered a Stampede, but they cancelled the order and aren’t producing anything in 2018 (the specs on that looked like the sweet spot for fit, components, weight, and price) so I’m back to shopping. I like several bikes but I have concerns about each. To compound this, I don’t have a convenient bike shop to check any of these out at. Cleary Hedgehog: Probably the frontrunner, I’m concerned about the steel frame rusting and also the low gearing. I’d definitely have to get a second freewheel to increase the top end speed but they no longer have the 13 tooth cog (smallest Cleary offers) in stock. The flip-flop hub would seem to be an advantage for swapping between single track/skate park riding and neighborhood riding. If it is a little big for him, I can delay giving it to him and let him keep enjoying the Strider Super. Frog 48: Looks great, but I think the steering limiter would frustrate him (we go to the skate park/pump track 2-3 times a week). Woom 3: Everyone raves about it, but I’m not sure about the upright geometry vs. the Cleary/Frog and how good it will be for the skate park and singletrack riding. My eldest is fairly aggressive and my younger son is acting even more aggressive/fearless when riding (he’s a full year ahead of my eldest son’s bike usage/progression). I love the weight, but wish the SRAM Automatix hub was still available, as the gearing seems a little low once he’s used to pedaling (the chainring is smaller than most others used). Spawn Banshee: The Yoji 16 sounds great and it is out of my price range, but there are used Spawn Banshees always for sale about 3 hours north of me in Canada. Several forums have made it seem like the Spawns are smaller and wouldn’t last as long; also I’ve got the impression that you pay a lot for used Banshees but the Cleary may have better components at a similar price to a used Banshee. Commencal Ramones 16: I can’t find much reliable information about this one, especially about minimum seat heights. The rest of it looks good, but it’s weight is a little more than ideal. Norco Samurai: I’ve heard good things but can’t find weight or minimum seat height. The price is enough to keep me interested, especially because a semi-local bike shop can order one for me (but they don’t keep any in stock). Wow, you have definitely done your homework and put a lot of thought into this. Of the bikes you’ve listed, I would go with either the Hedgehog or the Woom 3. Both are great bikes. With the Cleary, the frame is powdercoated so I dont *think* rust would be too much of an issue especially if it is stored indoors. You can always order the cog you want elsewhere and install it later. Honestly, I would wait until he’s riding it and then see if the gearing is even an issue. As for the Woom 3, it is without a doubt my son’s favorite bike and he has LOTS. I know a lot of parents have concerns about the geometry, but my son is VERY agressive–on the pump track, skatepark, and on singletrack. It has not hurt him at all; if anything it has helped him develop into a more confident and skilled rider. I agree with your concerns on the Frog and Spawn, and don’t have any personal experience with the Commencal or the Norco but know they both a weigh a bit more. Hopefully, I’ll be doing some reveiws of those bikes soon. Thanks for the advice! I’m now leaning more to the Woom 3, but have a couple more questions. Would it still be your kid’s favorite without the two speed hub that’s no longer available? I’m still concerned about its geometry and cockpit size because my son has a long torso and short legs; the Cleary or the Prevolo Alpha 2 might provide more time before upgrading is required. Do you think the Woom will last through 3 kids? Great questions. I do think the Woom would still be his favorite bike without the Automatix hub, but maybe not quite as much so. He definitely loves that hub and it is sad that it is no longer made. All three bikes are high quality and will last thru three kids, no problem. You’ve narrowed it down to some great bikes and you really can’t go wrong. How about the haro shredder 16? We have tried a lot of bikes but the cheapest of the ones we like is the haro shredder. I am getting one for about 60 odd in fairly excellent condition. My son is comfortable on the prevelo alpha two and can just about manage to get his feet to touch the ground, but we havent yet tried the haro. Do you think he’d be able get an equivalent comfortable ride on the haro? I am about to have a girl and was hoping this bike would last until she can use it (thats about 3-4 years away). Sorry had to ask about one other option I have. This is a Jamis Laser 16 for about the same price as the haro. There’s a difference in their geometry and weight. My son is a little light weight for his age group. Which do you think would be a better choice? Thanks.. Adding one more comment, we checked out the Jamis lazer but thats way too heavy for my kid. We had an option on a cannondale 16″ as well but it is relatively heavy at 21lbs and also the geometry isnt that great. Its a little too aggressive for my son’s tastes. The haro was great, weight wise and with its not too aggressive stance, but it had been used a lot and for the price (100) it wasnt justified especially since I got a Cnoc 16 for 175 in great condition. Of all the bikes my son loved this and the prevelo the most. Couldnt find a used prevelo alpha two for around the same price as the cnoc 16, so got the cnoc 16. You have provided so much helpful information. Thank you! I have an almost 5 year old who hasn’t had a balance bike. 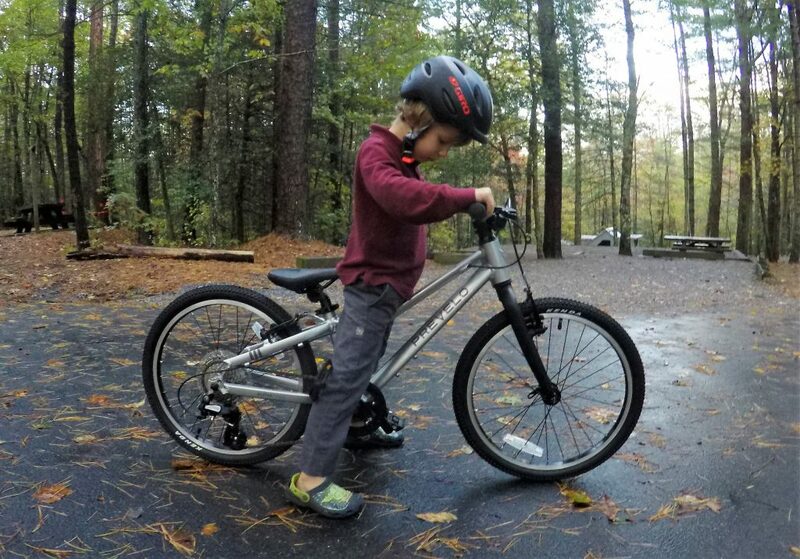 I was going to do training wheels, but after reading your webpage I am going to do a pedal bike and take off the pedals until he learns to balance. I would have never thought to do this if it wasn’t for your article. You saved us a lot of money and frustration. thanks!! Any thoughts on BMX style bikes? What’s good, what to avoid? Recommended models for 5-7 year old just starting out? Also, I tried downloading your cheat sheet, but there isn’t a working link for the download. Thanks. We are actually planning on a bike BMX review project for 2019, but as of right now, I don’t have enough experience to give you a good recommendation. As for the cheat sheet, I’m sorry to hear it didn’t work for you. If you want to send me an email (kristenbonkoski@bpcole.org), I will get it to you. The Louis Garneau Petit 16 is not on your list but is super awesome. Lists for $360 CAD ($270 USD). Aluminum frame, dual Tektro hand brakes, free wheel, riser bar, threadless stem, 19″ seat height, and only 15.8 pounds. Low bottom bracket for good leg extension even when at the lowest seat position, long wheelbase for a relaxed riding position, and overall great geometry for little kids. Best part is you can buy it at a local bike shop. Hello, please could you let me know what you think of the Guardian original(339$) and Guardian Ethos (239$) bikes? thanks! Hello, please could you let me know what you think of the Guardian original(339$) and Guardian Ethos (239$) bikes? I was looking at the sub 200$ range, but Guardian Ethos is the one that came closest to that range and would be a tough stretch but maximum I could at this age (4.5 years child), maybe once she’s older I ll get her a better one. Please take into account WOOM bikes weight is measured without pedals. Please check German manufacturer KUbikes, they are very lightweight bikes. WOOM renewed their 2019 line with full protection chain box and side reflective tyres (changed the latter from Kenda to Schwalbe, ate last in Europe).